India-Kosovo Controversy aroused in november 2018 due to denial of visa a player from Kosovo or not considering independent country to Kosovo. India has denied Visa to Kosovo boxer Donjeta Sadiku who will participate in the AIBA women’s world Boxing championship which is hosted by India. After this, Olympic Committee of Asia (OCA) president wrote a letter to the Sports minister and the Indian Olympic Association (IOA) president, saying that Visa denial “cast doubt” on India’s eligibility for hosting future international sporting events. It was biased attitude of India some people said from US. For it’s part, AIBA got threat that it would reconsider India as host for 2021 AIBA men’s Boxing championships. 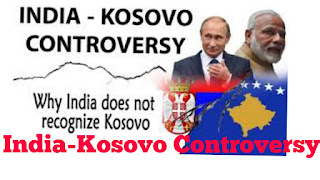 Before, the India-Kosovo Controversy we should know history of Kosovo. At one time, Kosovo was an important part of the Serbian empire, only to be lost to the ottomans in 1938. Centuries latter, in 1912, Serbia regained its control on Kosovo, and by 1946, Kosovo was absorbed into the Yugoslav federation. At the time of 1960 Kosovo began to assert it’s autonomy, being a majority-muslim province after countries of ottoman rule, in a majority Christian federation. The Yugoslav federation accepted the autonomy of Kosovo in 1980 giving Kosovo a de facto self-government. But from 1998-1999, Kosovo was the site of a bitter and deadly war that killed thousands largely fought between the ethnic serbs and ethnic Albanians group. In a conflict that spiralled into killing and revenge killings, NATO finally intervened against Yugoslavia and the Kumanova agreement was reached in 1999 to end the war. In 2008 Kosovo declared into independence from serbia, in a move that was summarily rejected by the Serbian Government. Serbia is close friend of Russia. Serbia also doesn’t recognize Kosovo as independent country like India, China in Contrast with this view, UK, Australia, US consider Kosovo as independent country. It is geopolitical game. Serbia administer the territory by Kosovos elected government, it continues to claim it as it’s own autonomous province of Kosovo and Metojhia. Kosovo is a member of the International Monetary Fund, world Bank, regional Corporation Council and has applied for membership of interpole for observer status in the organization for the Islamic Corporation. At this moment in December 2018, the Republic of Kosovo has received 116 diplomatic recognition as an independent state. Kosovo as independent country is recognised by most of the country. 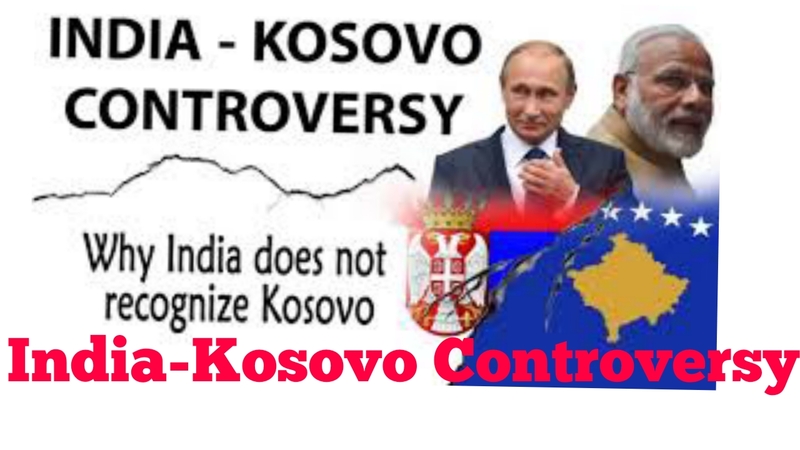 BRICS countries do not consider Kosovo as independent country may be they have good relationship with Russia. What should India do to avoid such Controversy ? India doesn’t yet have a good proper reason to keep side it long-standing foreign policy principles on which it bases it’s interaction with other countries. India no need to sacrifice hosting all future international competitions. India should have done things like China as they consider such a territory as disputed territory and gives temporary visa on a piece of paper stapled to her passport. So that’s is the India-Kosovo Controversy.